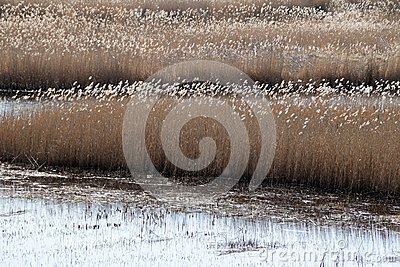 Phragmites perennial grasses in wetlands. Phragmites perennial grasses in wetlands on an early spring day. Latvia, Lapmezciems.